The Swiss financial regulator FINMA says the assets of Ukraine’s ousted President Viktor Yanukovich, his son Oleksander, and 18 other Ukrainians have been frozen. 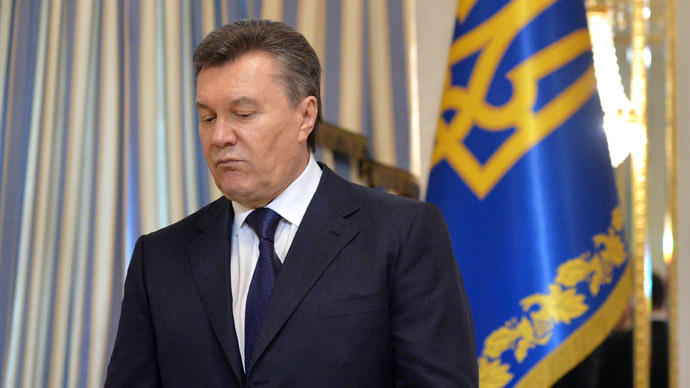 The assets, which Yanukovich denies having, were blocked as of 12:00 CET on Friday. Any funds that are found to be linked to Yanukovich will be frozen, and unavailable to the ex-President, who is in Rostov-on-Don in Russia in southern Russia giving a press conference. In the statement, FINMA said they made the decision to freeze the assets on Wednesday. Included on this list is Mykola Azarov, the former Prime Minister who resigned from his post in January. Appearing for the first time since he fled Kiev and Ukraine amid bloody riots, ex-President Yanukovich vehemently denied having any bank accounts or property abroad. Banks now “have a due diligence requirement” to cooperate with the order to cut off access to any funds Yanukovich or the other listed 19 people may hold in Switzerland. There is so far no evidence Yanukovich has deposited money in the country known for its banking secrecy. Ukraine’s new Prime Minister Arseney Yatsenyuk said Yanukovich and his government are responsible for leaving the country with an ‘empty treasury’ and have illegally siphoned $70 billion over the past 3 years into offshore accounts. 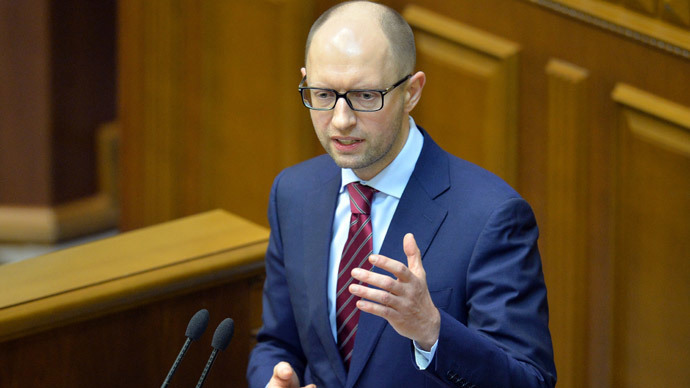 Yatsenyuk also said that a $3 billion loan from China has gone missing. The comments were made after he was appointed prime minister by Ukraine’s parliament on Thursday. Russian media have reported that the ex-President has asked the Russian Federation for 15 million rubles to provide security against extremists. Austrian authorities have followed Switzerland, and will freeze any accounts belonging to the list of people as a "precautionary" measure. Switzerland is the world's largest known offshore center of wealth, with an estimated $2 trillion in assets. Another big destination for offshore wealth is Cyprus, which part of the EU, would be required to freeze assets if the parliament votes on unilateral actions across the region. The EU can only call a bloc-wide asset freeze if all member states reach a legal decision to do so. The European Parliament in Strasbourg will also try to pinch off access to any offshore funds belonging to the ex-President, and Friday will open an investigation into the “massive embezzlement” of Ukrainian assets. Separately, on Thursday prosecutors in Geneva began a investigation into Yanukovich and money laundering . 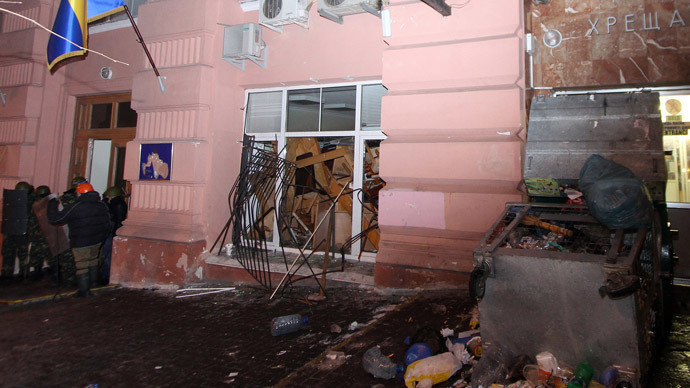 Prosecutors have searched the office of his son Oleksander and seized documents. "A penal investigation for severe money laundering is currently being conducted in Geneva against Viktor Yanukovich and his son Oleksander," the prosecutor's office said in a statement, Friday.